A bit of a holiday atmosphere tonight. We were missing one of the Derek’s, off on holiday somewhere, and Allan, with yet another early milk round. We were wondering whether to bother running trains, but persevered, and it was worthwhile as eight of us turned up in the end. It was also a bit of a ‘testing’ evening. Chris brought along his lovely Network Southeast HAP unit, for a first run. And it ran impeccably. As I still seem to be working too many hours, I’m also buying bargains as things come up. 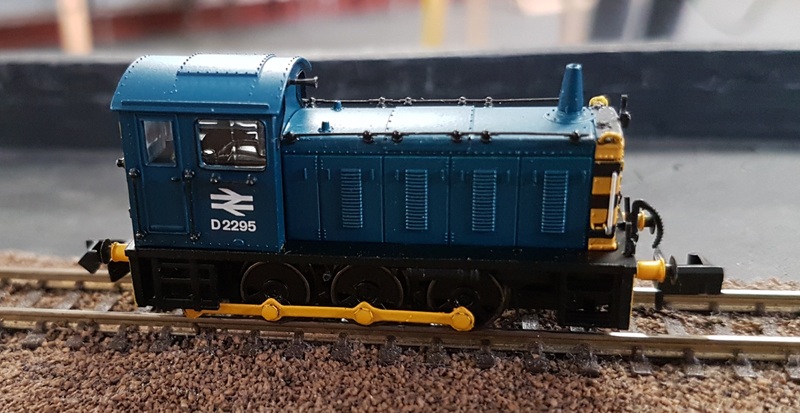 Another O4 shunter was too cheap to ignore, and it will get a set of Wisbech and Outwell skirts like the yellow one bought previously. I was worried that this would have to be returned, as it was very jerky when first running forward (but as smooth as anything backwards.) However, after a couple of circuits it seemed to free up and was soon running as smoothly as most new Farish seem to. And my other purchase, another Midland 4F. If I can pluck up the courage to desecrate such a lovely model, it might just end up as a Southern Q. All in all, though, a very pleasant evening, with time to play trains in a relaxed manner, and have a long chat with friends. Be interested to see the transformatio into a Q.